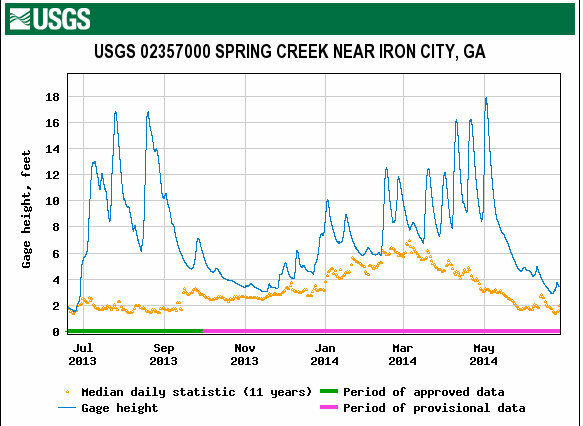 Spring Creek near Brinson, Ga is looking good. 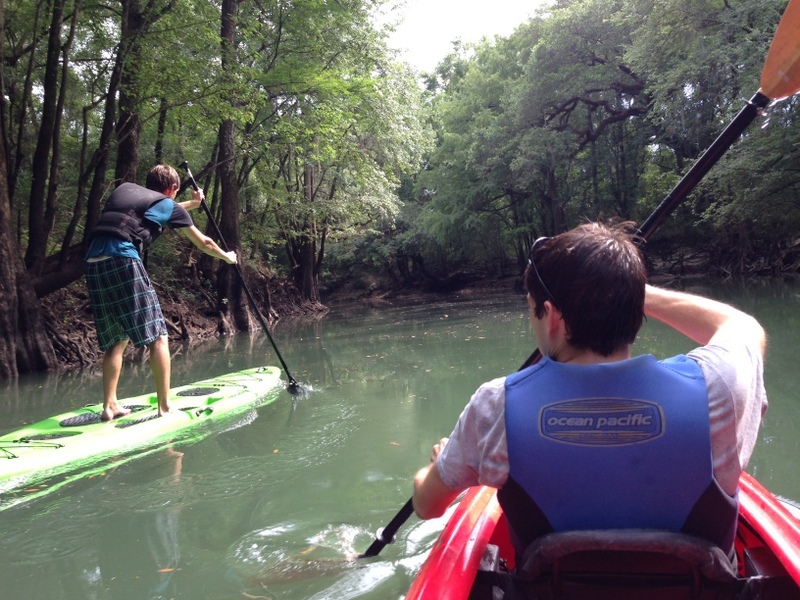 We kayaked and paddleboarded and ropeswinged some of it on Saturday. Some folks were catching fish. The current was flowing pretty well. I lost my glasses on the bottom of the creek for about 10 minutes, I was upset until my nephew found them caught in a rock. We ran across some friends that had just gone swimming unexpectedly (they flipped their canoe). The water felt great, it was very cool and refreshing. Here is the last year’s water levels on the creek from the USGS monitoring station that is a little north of where these photos were taken near the Hwy 84 bridge. Water levels have been good this past year (blue line). The averages are in gold so we’ve been above them. 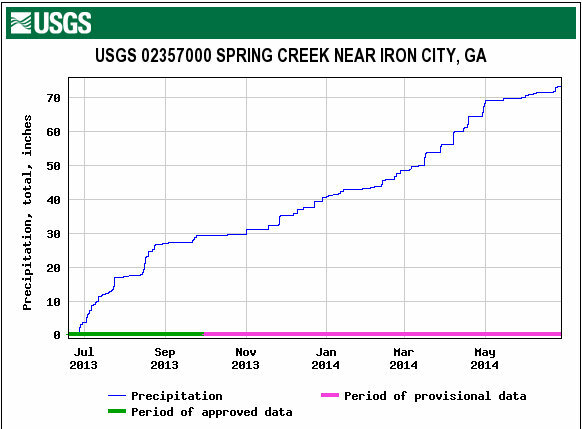 Here’s the accumulated rainfall for the last year at the station on the creek, about 72 inches of rainfall. This entry was posted on June 27, 2014 at 6:53 am	and is filed under Water. Tagged: water. You can follow any responses to this entry through the RSS 2.0 feed. You can leave a response, or trackback from your own site. Hi Does anyone know how long it takes to tube from the brinson bridge to yates spring? 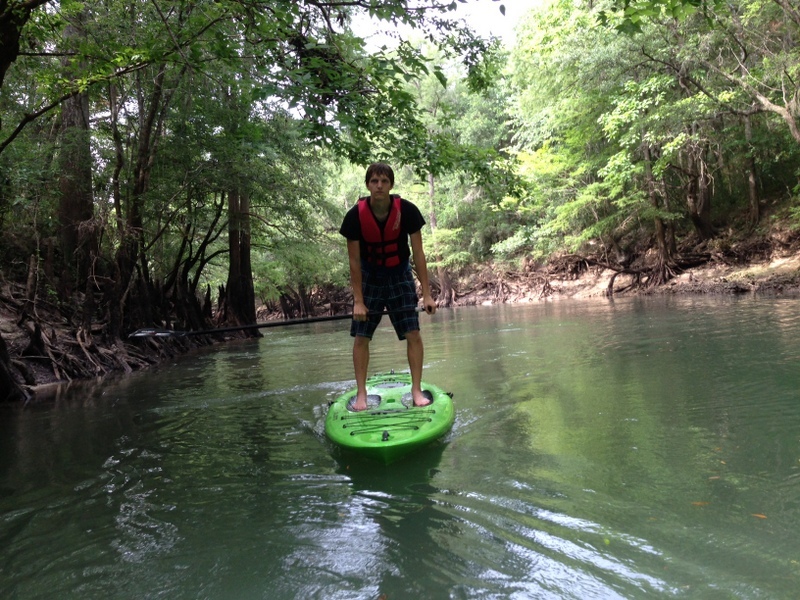 Depends on the water flow rate if not paddling. Prob 6 hours or so.